Save Money ~ Be Frugal & Fix It! For decades now we’ve been living in a throwaway society. We’ve become used to heading out to the shops whenever an appliance, piece of furniture or an item of clothing has seen better days. Now that most of us have got less money or more importantly have learned the hard way about the dangers of credit, is it finally time to say goodbye to our throwaway nature and learn from older generations about how to be frugal & fix it? I understand that some things may well have seen their final days or others might not even be worth fixing, especially if the item was extremely cheap to begin with. With a lot of items though, making the decision to be frugal & fix it could save you hundreds of pounds over the next few years, take appliances for example. 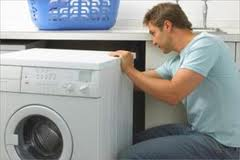 Although the cost of appliances has come down in recent years, it’s still a big expense if you have to replace one. A few years ago my washing machine died and my natural thought was to get a new one. When I looked into the cost of buying a new machine it was around £300 for something half decent. I then remembered that we had a repair shop in our town so I gave the guy a call. The repair man came to our house, replaced the bushes on our washing machine all for a cost of just £40. We got an extra 2 or 3 years out of our washing machine! Boots and shoes are other items that can really hit the budget if you want to get something that’s good quality. With all the easy credit that’s been flying around for the past couple of decades, many people have forgotten that there’s such a thing as a cobblers. A new pair of quality ladies boots can cost anywhere from £70 – £150+ whereas getting your boots re-heeled at the cobblers costs around £10-£15, a fraction of the cost. Furniture is another thing we’ve become accustomed to throwing away at the slightest fault. Simple problems like broken hinges, broken locks, fabric stains or worn leather can all be easily and cheaply fixed by you or a repairman. Many of us have never learned the skills needed to be able to fix things around the house but don’t let a lack of knowledge stop you. Older generations may have had the know-how but we have the Internet! There’s a wealth of information available on the Internet to show you how to fix just about anything around the house like this one on Repair & Protect which shows you how to fix common problems with dishwashers. I mentioned earlier that I had my washing machine repaired at a cost of just £40. I later found out that the repair was actually a relatively simple one and that the parts cost just a few pounds. I had a friend show me how to do the repair myself so that next time I have the same problem I’ll be able to fix my washing machine for next to nothing. What Do You Think? Is It Time We Said Goodbye To Our Throwaway Nature? How Much Money Can DIY Save You? 8 Responses to Save Money ~ Be Frugal & Fix It! Good article. I try to fix anything around the house before I throw it out. It is quite rewarding to fix something on your own. I just paid 110 pounds to fix my washing machine! My tenants are very handy though, they took off the pump and some other parts and said they couldn’t do anything. Here in Guatemala it is amazing how handy people are, from a bit of plastic they make a new part for your car or your fridge, so items get a second, third or tenth life. I try to give it a go myself, with so many tutorials online it is easier now, but with cheap labor here it is generally not worth the effort. There’s a program on the TV over here called ‘The worlds most dangerous roads’ and it showed some guys in South America repairing a car tyre with a bunch of leaves! It’s amazing how inventive you can be when you have no choice. I can probably be described as the ultimate do-it-yourselfer. There is very little I won’t tackle on my own. Need a new axle on the truck, sure no problem. Smoke is coming from the electrical socket? That’s easy. The list of things I’ve tackled seems endless (and some scary in retrospect) but I saved a significant amount of money over the years. It’s one reason I’m a tool junkie :D. One thing is true though, You can find some good guides and directions on the internet. You tube has some pretty good instructional videos on just about any repair you can imagine. Excellent post! One of the things I love about my hubby is that he will always attempt to fix something himself before replacing it or hiring out. A perfect example was the heating element on our clothes dryer. A $15 part and an hour of work is what it cost him: our repair guy wanted over $200. You can save a ton of money by fixing it yourself! Thanks Laurie, it’s amazing how much you can save. $200’s is just ridiculous!